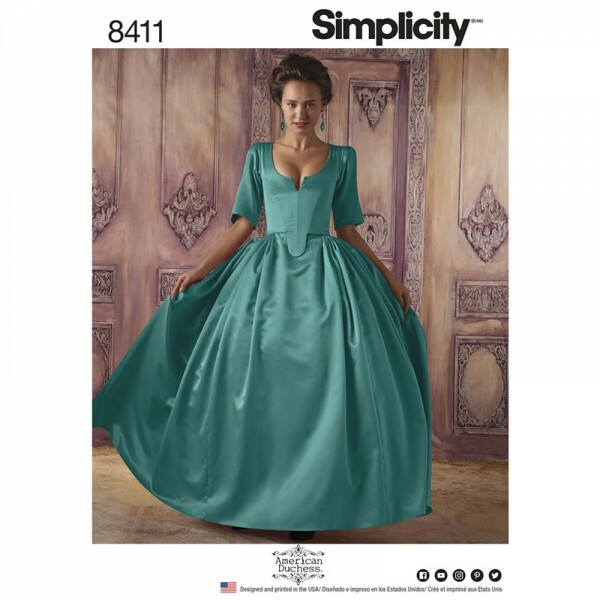 Simplicity 8411 18th Century Costume Sewing Pattern includes a paper pattern and step-by-step instructions for a bodice, skirt, and large panniers. This pattern is a costume design referencing mid-18th century Robes de Cour, back-lacing court gowns worn over wide hoops. The bodice is fully boned, eliminating the need for an additional corset. 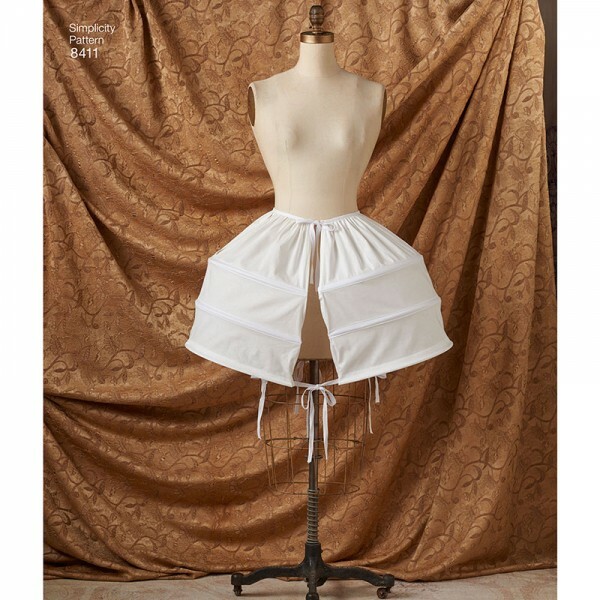 The skirt is shaped to fit over large panniers, included in the pattern. 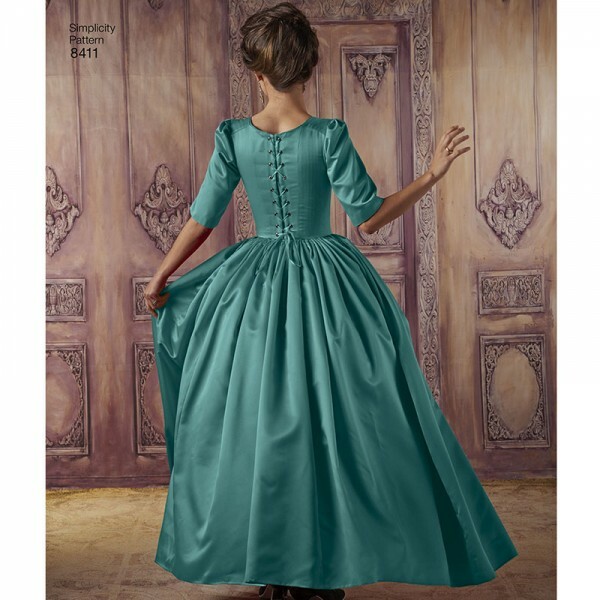 Use this pattern as-is for cosplay and costume creation, or pile on trims and passementarie for a more historical look. Gown - lightweight silk satin or taffeta, damask, brocade, or dupioni. 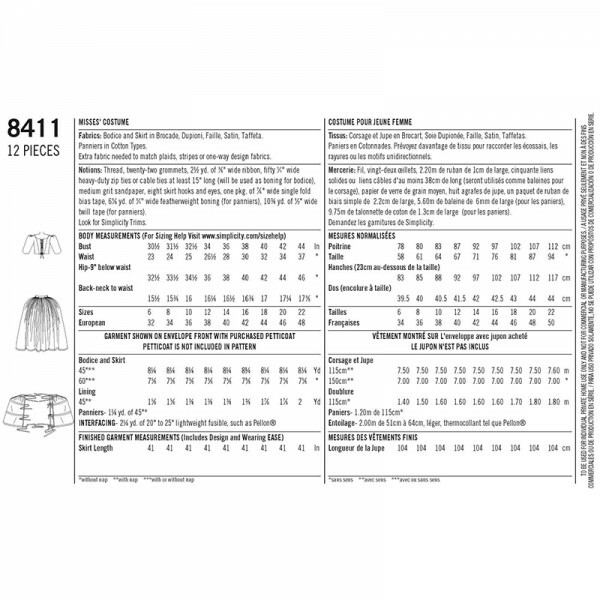 Panniers - medium weight cotton or linen.